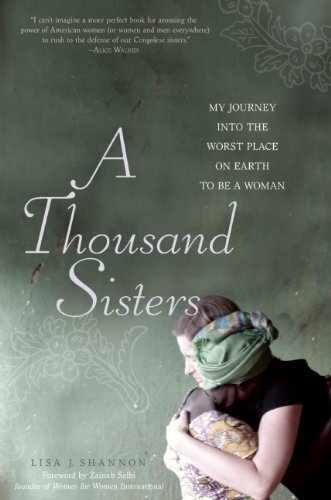 I've been waiting for quite a while to read Lisa Shannon's A Thousand Sisters: My Journey into the Worst Place on Earth to be a Woman. It is the third book for me that centers on someone involved with Women for Women. "This is a true story. In a place as extreme as the Congo, there is no need to make anything up." "The calls come during the remote, panic-inducing hours of morning. I scramble for my cell phone; a number beginning 011-243-99 appears on my caller ID. Congo calling." There are parts of this book that are tough to read, but I think that's important. Sounds like an intense one. 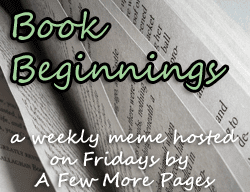 Good beginnings! Ooh, this sounds...chilling! Hope you're enjoying it. Wow - that's an opening. A lovely cover for the book as well! Do review this book. It sounds amazing.